Jerry has lived in San Antonio all his life and has been an insurance advisor since 1977. Getting clients quality coverage at the best possible price is his trademark. If you are looking for honest and solid advice, contact Jerry. Joe was born in Wewoka, Oklahoma. Joe graduated from Wewoka High School in 1963 as Senior Class President and co-captain of the football team. He married Kathryn "Kay" Filson in June 1967. Joe graduated from Central State College in Edmond, Oklahoma in May 1968 with a degree in Business Management. In 1968, he became a member of the United States Army Reserve 45th Infantry Training Division based in Oklahoma City and was on active duty in 1968 and 1969. In 1969, Joe accepted a job in San Antonio with a major food company as South Texas Territorial Manager. 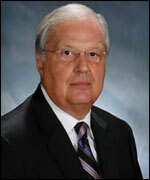 In 1973, he went into the insurance business and has made that his career for the past 40 years in San Antonio. 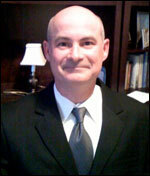 Joe joined Insurance One Agency in 1997 and became a full partner in 1999. Since 1997, the San Antonio office has grown to over 40 employees. This rapid growth can be directly attributed to the desire on the part of the staff of the San Antonio office to try to always locate the very best coverage at the most competitive pricing for their clients. Joe's insurance experience of over 40 years has included management of risks of all types with special expertise and concentration in the following areas: Restaurants, churches, private schools including daycares, manufacturing, construction, non-profits, aviation, farm/ranch, oil and gas. He is active in local, state and national Independent Insurance Agents Associations. 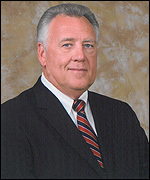 He attained the Certified Insurance Counselors designation in 1983. 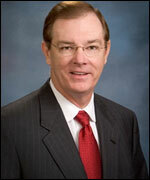 Joe currently serves as a member of Texas Mutual Insurance Company Agents Advisory Counsel. Joe has been an active member of his church for 43 years serving as deacon and bible teacher. 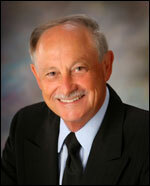 He has been involved in various local, civic and religious organizations throughout his career. Joe and Kay have been involved in ranching for many years raising both cattle and horses. Joe is a current member of the Texas and Southwestern Cattle Raisers Association as well as a life member of the American Quarter Horse Association. Joe has served as Vice-President and Secretary of San Antonio Livestock Show and Rodeo since 2009 and in May 2012, he was elected President. Ryan began his insurance career with Insurance One Agency San Antonio in November 1997 after completing his bachelor's degree at Texas A&M University. 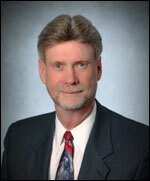 He joined the Insurance One Agency partnership group in February 2012. 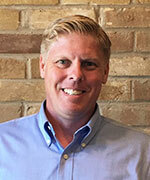 Ryan's primary focus and expertise is in commercial property & casualty as well as large group benefits programs. Ryan has served on the Independent Insurance Agents of Texas Board of Directors for the Young Agent's Committee (2 yr. term) and locally for the Independent Agents of San Antonio Board of Directors (2 yr. term). Ryan currently serves on the board of directors for SAYES, a San Antonio based non-profit youth educational scholarship foundation which also provides school supplies to low income districts in South Texas. He has also served a 2 yr term and is currently a life member of the San Antonio Livestock Exposition which also provides educational scholarships to the youth of Texas. Chuck Mapes began his insurance career in 1969 when he acquired a community insurance agency in New Mexico. In 1977, Chuck relocated to Dallas to join a large national insurance brokerage. In 1980, Chuck formed Chuck Mapes Insurance which he operated as CEO until 1992 when he merged his operation with five other agents to form Insurance One Agency, L.C. Chuck continues as an active partner of Insurance One. Chuck's insurance experience in excess of 40 years has included management of risks of all types with concentrations in Oil & Gas, Private Schools, Security Firms, Aviation, Real Estate Development, Marine, Financial Institutions, Manufacturing and Construction. To better represent his company and the work across the country, Rick joined Insurance One, LC as a partner in 1995, where he created, developed and introduced the center for church and not-for-profit organizations. For the past 10 years, Rick's branch of Insurance One has expanded into offices in DeSoto, Houston Abilene, Bowie and Village Mills, Texas. As an independent agent and visionary leader, Rick has consulted with more than 1,000 churches, schools, childcare centers and social organizations. He currently works with some of the largest churches and ministries across the country, carrying the understanding that he has a Biblical obligation to serve. Rick has served his church by holding positions on the board, finance committee, treasurer, and executive building committee. He has also been involved in his community by serving for 10 years as an elected official for the City of DeSoto, Texas, a member of the Dallas County Grand Jury, and Election Precinct Judge while representing his precinct at National Conventions. Rick has established close relationships with all of his clients and has served and built his personal and professional reputation based on this type of approach. He understands that it is not good enough to know the church insurance business and believes that when the policy is delivered that his job is just beginning. A native Texan, Derwood was born and raised in Navarro County. He began his career in the insurance business as an agent for New York Life in their Dallas office. There he received numerous awards for his service and his professionalism. A desire to expand his career led Derwood to enter into the property and casualty business by establishing his own full service agency operation, the Phillips Insurance Agency, and joining the Independent Agency System. Derwood continued this operation until he merged with the Wray, Tucker, Phillips, Riley and Geater Agency and served as Vice President for the next seven years. He was one of the major contributors in advancing this new agency to the rank of fourteenth among the largest agencies in Dallas County. Following his tenure with the Wray, Tucker, Phillips, Riley and Geater Agency, Derwood merged with John E. Clark & Associates, Inc. and fulfilled the role of Executive Vice President/Partner for the next 20 years. In 1992 Derwood worked with like-minded professionals to found Insurance One Agency L.C., a full service agency that has grown to 10 stockholder/partners with 15 locations in the State. Through his efforts and continued leadership Insurance One has developed a highly competitive very successful Residential Home Builder's program along with Artisan Contractor's, Habitation and Restaurant Programs. Derwood was on the Board of the Independent Insurance Agents of Dallas serving as the past chairman of the Agency/Company Relations Board and on the IIAD Placement Board (a joint venture with the city of Dallas). He also chaired the Dallas Association's All Industry Day, Dallas' largest one day trade show at that time. 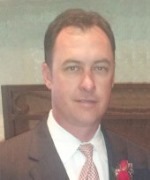 Derwood is presently President of the Independent Agents of Tarrant County. His professionalism and dedication to the industry led to his service on the advisory councils for Unitrin Insurance, Progressive Insurance, Fireman's Fund Insurance, Zurich Insurance, Hartford Insurance and Safeco's National Presidential Advisory Council. Derwood has been recognized for his work with the Habitat of Humanity and the Make a Wish Foundation. Robin Phillips graduated from SMU in 1986 and began his professional career as a banking officer. In 1988, when the banking industry took a tumble, he was presented with the opportunity to become an Insurance Agent, and from then on has been blessed to be successful in the Insurance Industry. Robin was one of the founding Partners of Insurance One. He teamed with a group of Independently minded, but team oriented Professionals to form Insurance One Agency, LC in 1992. The idea was to create a Company that was Professional, could better serve its clients and open the door of opportunity for growth. Since its inception, Insurance One is meeting its potential with outstanding professional service and continued tremendous growth. Robin considers himself a Generalist when dealing with the insurance needs of his clients. Because of his outstanding ability to research and use all of his resources, clients can benefit from his services from all classes of business. Robin has successfully underwritten clients ranging from Retail Stores, Manufacturers, Truckers, Construction, to Hazardous Waste Disposal Companies. He believes that research and making use of all of the available resources and technology will help him be able to keep himself and his clients one step ahead. Robin is one of the Founding Members of his Church and remains very active in service, serving on various committees, assisting in the implementation and production of various programs, events, and missions for the Church. He is also an active Member of Grace Flight of America providing no cost assistance to Cancer Patients and Veterans for transportation to and from their treatments, and providing disaster relief to disaster victims. Robin believes in a close & personal relationship with his clients and has a reputation for going above and beyond. He also believes that it is much better to do whatever it takes to retain a client, rather than to have to constantly replace clients with new ones. "Taking care of my clients is my number one priority"
Nathan has over a decade of experience within the insurance industry. He began his career in 2004 with Insurance One Agency and over the years has achieved Producer of the Year multiple years. Nathan has served on the Board for Air Condition Contractors of America (ACCA) and the Board for Plumbing Heating Cooling Contractors (PHCC) along with church mission boards and volunteering for multiple non-profit organizations, Christian Senior Services, Meals on Wheels and the Special Olympics to name a few. Nathan's broad knowledge of risk assessment is seen in the current organizations and types of industries he services: Construction, Auto Service, Retail, Churches, Schools, Child Care, Manufacturing and much more. His close personal relationship with each of his clients assures their needs and risks are not only taken care of but handled with the best service available.